The Evenks are a Tungusic people of Northern Asia. In Russia, the Evenks are recognised as one of the indigenous peoples of the Russian North, with a population of 38,396. In China, the Evenki form one of the 56 ethnic groups officially recognised by the People's Republic of China, with a population of 30,875. There are 537 Evenks in Mongolia that called Khamnigan in Mongolian language. Transhumance is a type of pastoralism or nomadism, a seasonal movement of livestock between fixed summer and winter pastures. In montane regions, it implies movement between higher pastures in summer and lower valleys in winter. 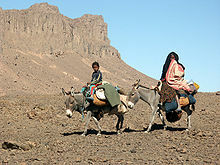 Herders have a permanent home, typically in valleys. Generally only the herds travel, with a certain number of people necessary to tend them, while the main population stays at the base. 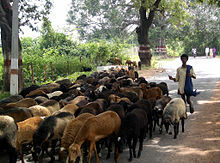 In contrast, horizontal transhumance is more susceptible to being disrupted by climatic, economic, or political change. 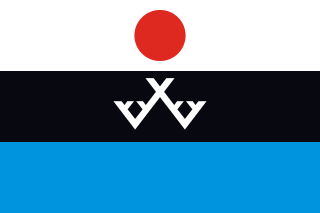 The siida is a Sami local community that has existed from time immemorial. 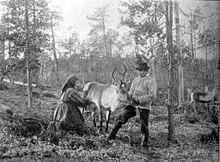 A siida, or a "reindeer pastoralistic district," is a Sami reindeer foraging area, a group for reindeer herding and a corporation working for the economic benefit of its members. The reindeer herding siida has formed as an adaptation of ancient siida principles to large-scale nomadic reindeer herding. It is termed a sameby in Swedish law, reinbeitedistrikt in Norwegian law, and paliskunta in Finnish law. The pastoralistic organisation differs slightly between countries, except in Russia, where kolkhoz has replaced these earlier organisations. 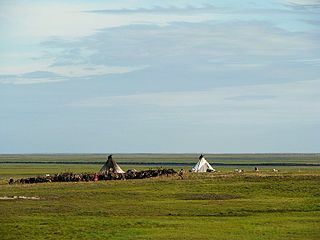 True nomadism has rarely been practiced in Europe since the modern period, being restricted to the margins of the continent, notably Arctic peoples such as the (traditionally) semi-nomadic Saami people in the north of Scandinavia, or the Nenets people in Russia's Nenets Autonomous Okrug. 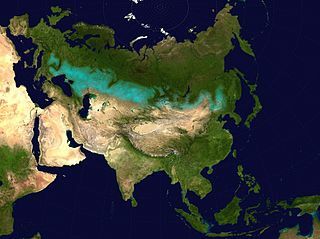 In ancient and early medieval times, Eurasian nomads dominated the eastern steppe areas of Europe, such as the Scythians, Huns, Avars, Pechenegs, Cumans or Kalmyk people in Russia's Kalmykia. Yaylag is a Turkic term, meaning summer highland pasture. The converse term is gishlag, a winter pasture. The latter one gave rise to the term kishlak for rural settlements in Central Asia. Transcriptions of the term include yaylak, yaylaq, یایلاق, ailoq, jaylaw, or jayloo, and yeilâq (Persian). Begash in an archaeological site in the Koksu River valley in historic Zhetysu, Kazazkstan. The site is situated in piedmont steppes above the Zhalgyzagash River, a tributary of the Koksu River. 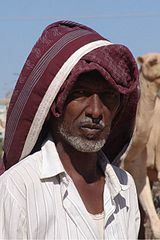 The people of Begash were transhumant pastoralists who mainly herded sheep and goats. They likely used the site primarily as a place of winter residence. 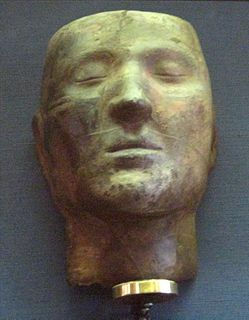 The people of Begash buried their dead first in cist and later in kurgan burials. So far, the earliest direct evidence for domesticated grains in Central Asia can be found at Begash, with the earliest evidence for the presence of both domesticated free-threshing wheat and broomcorn millet. Reindeer herding is when reindeer are herded by people in a limited area. Currently, reindeer are the only semi-domesticated animal which naturally belongs to the North. Reindeer herding is conducted in 9 countries: Norway, Finland, Sweden, Russia, Greenland, Alaska, Mongolia, China and Canada. A small herd is also maintained in Scotland.